Pig's Feast slots is a 5x3 and 25 payline video slot from Eyecon Gaming. With free spins, a firework bonus and dumpling picks, this game offers plenty of delicious winning chances. This Chinese New Year is the Year of the Pig. And this has clearly served as a big design influence. It's no surprise that the game is full of friendly pig characters. But you won't see them too often - they are far too busy stuffing their chops with the scrumptious symbols on the reels. Each symbol is inspired by the cuisine of China. Expect rice, dumplings and steaming hot bowls of stew with every winning combo. For more information on this game, keep reading our Pig's Feast slots review. The wild male pig symbol for this slot also activates the Pig's Feast slots free spins. Match three or more of the pig symbol and you will be awarded 15 free spins. Landing more pigs will also increase your free spins reward up to a maximum of 25 free games. During free games, you can re-trigger the bonus by matching three or more of the pig symbol. Best of all, you can re-trigger the bonus up to 15 times. 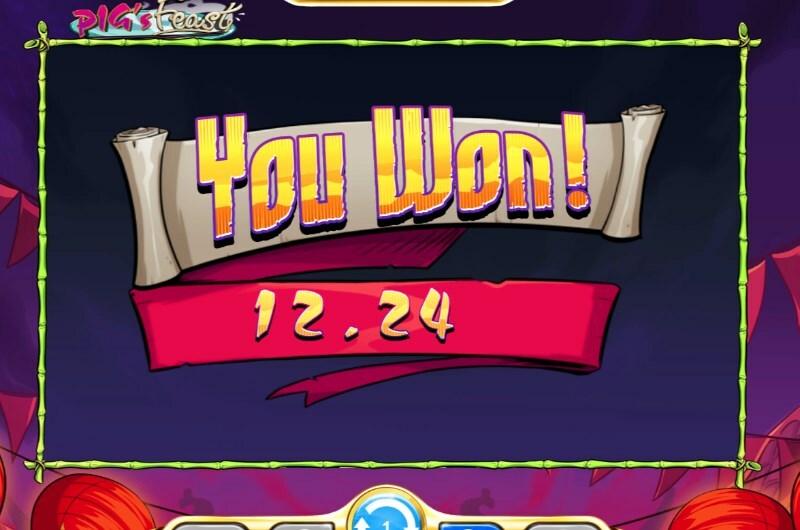 There's nothing better in a slot game than pigging out on loads of free spins after all. The female pig symbol is the scatter for the game. Land three or more female pigs and you will activate the dumpling pick bonus. Matching more female pigs will also give you more picks during the bonus - up to a maximum of 5. 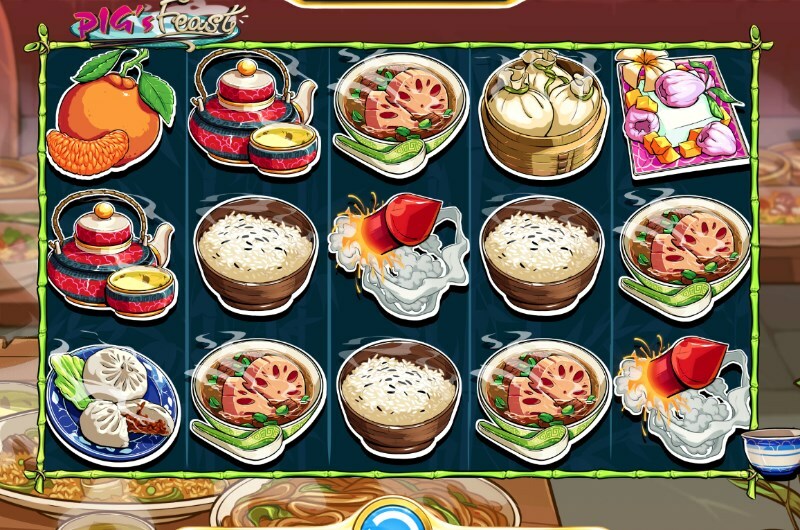 In this bonus game, simply pick out dumplings and reveal instant win prizes. You could land the maximum prize of 100x your total staked bet. Even better is that this mini bonus can also activate during the free spins. On one side of the reels, you will notice that bowls will stack up on a non-winning spin. If this stack reaches 17 bowls, then the firework bonus will activate. Five boxes of fireworks will then reveal explosive multiplier prizes. The maximum reward in each crate is 100x your total stake bet - meaning you could land the maximum of 500x your total bet during the bonus. It's worth noting that this feature will not activate during the free spins or the dumpling pick bonus. Pig's Feast slots features a return to player of 95% and medium volatility. This makes the game a good choice for all types of playing levels. The mix of high value wins and low-value prizes will appeal to veterans and new players alike. Both the dumpling bonus and firework bonus offer the best chances for a big win. If you pick or land the 100x multiplier on all five dumplings/boxes, then you can look forward to a max win of 500x your total stake bet. The highest paying symbol in the base game is the firework - landing a five of a kind win with this symbol will award a 5000 coin win. In an interesting twist, all of the high paying symbols in this game also offer prizes for a two symbol match. If you want to pig out on a brand new slot packed with features - then this game is a succulent prospect. 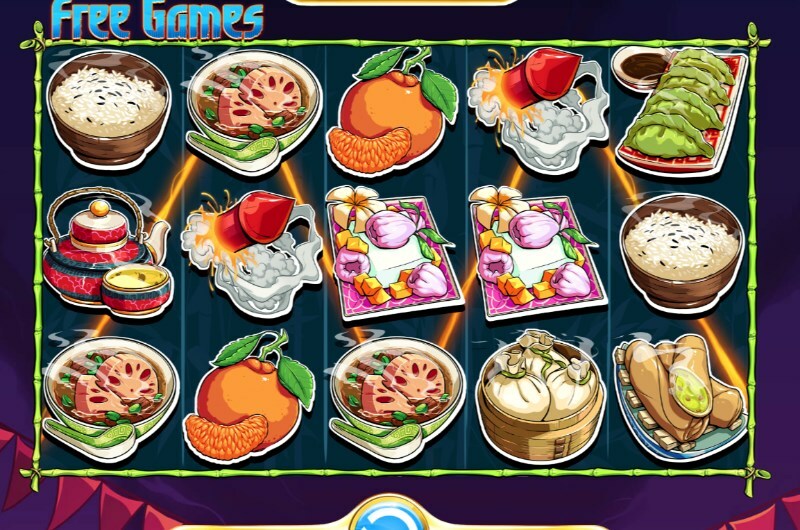 With colourful graphics, engaging gameplay and some impressive features - Pig's Feast slots is a game definitely worth savouring. An instant Eyecon classic. You can play this new slot right now at Pots of Gold Casino on your mobile, tablet or PC device.